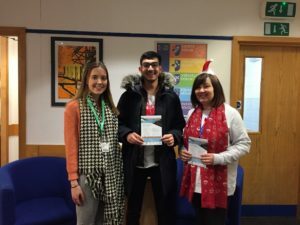 BTEC Business Raise Money For First Steps! Thank you to everyone who participated in the non-uniform and various stalls in College today to raise awareness and money for a local charity First Steps https://www.firststepsed.co.uk/. The visitor from the charity said she was very impressed with the effort the students put in. It was a brilliant day and a massive well done to the BTEC Business year 13 students that took ownership of running the entire day. Please congratulate them if you see them around!